We can help you create a custom printed product to match your unique needs! All of our products are developed, designed and created by our team at LA Publishing. We offer several options for creating custom products. 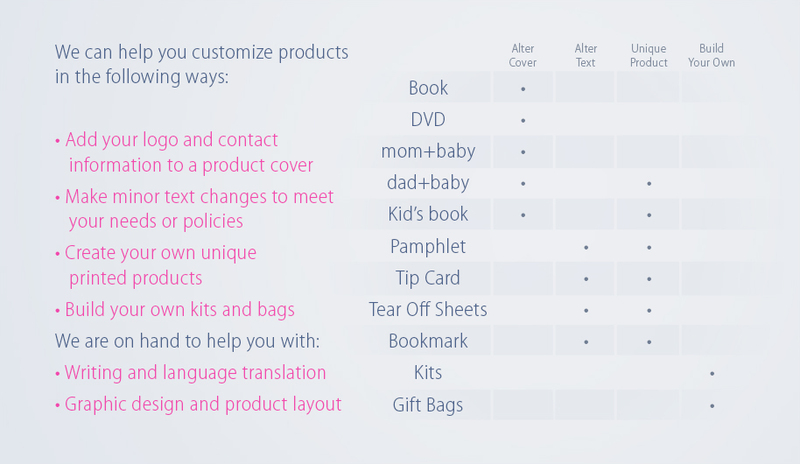 Whether you want to customize a product in our current catalog, or need a completely new and unique product for your organization, LA Publishing has all the resources you need. Call us for more information and conditions.